Get everything out of the garage and sort it all into groups. Categorize it all and put everything into groups with like items. For example: toys with toys, carpentry tools with carpentry tools, yard tools with yard tools, etc. Make a pile for trash: anything you don’t want that you can sell in a garage sale and items to give away. Get the appropriate organizational tools and supplies. 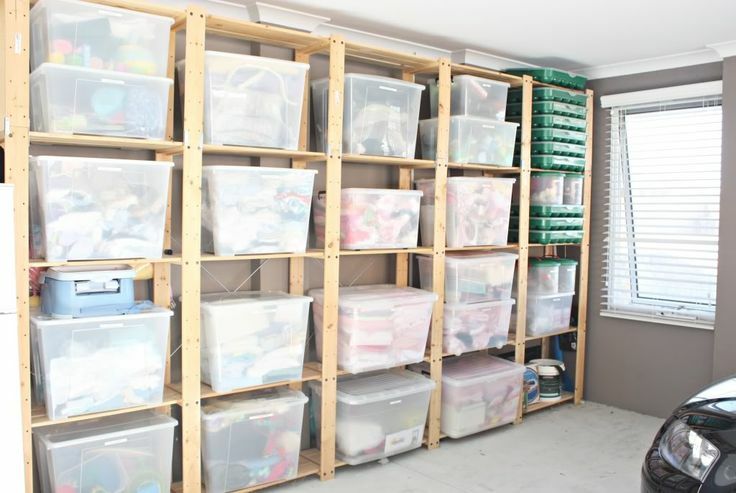 After you’ve grouped everything, decide on exactly what tools and resources will help you organize these items better. Do you need shelves? If so, what kind? A free standing shelving system or shelves mounted to the wall? Get what you need now so it’s ready to go for step 5. Clean the garage. As soon as you empty your garage, it’s important to take time to sweep out all the loose debris and remove cobwebs. You’ll appreciate your garage much more if it’s clean, so make sure to sweep and dust routinely. Décor. This does not mean you need to remodel your garage into pseudo-living room; however you could think about a fresh coat of paint on the walls. Lots of people prefer to paint and seal the floor of their garage to protect it from stains and also makes cleaning easy. Transforming your wall and floor surfaces will have an enormous effect on the appearance of your garage. Arrange Items For Storage. As soon as you’ve cleaned the garage (floor and walls) it’s time to put everything back. Place those items that you use on regularly within easy reach. 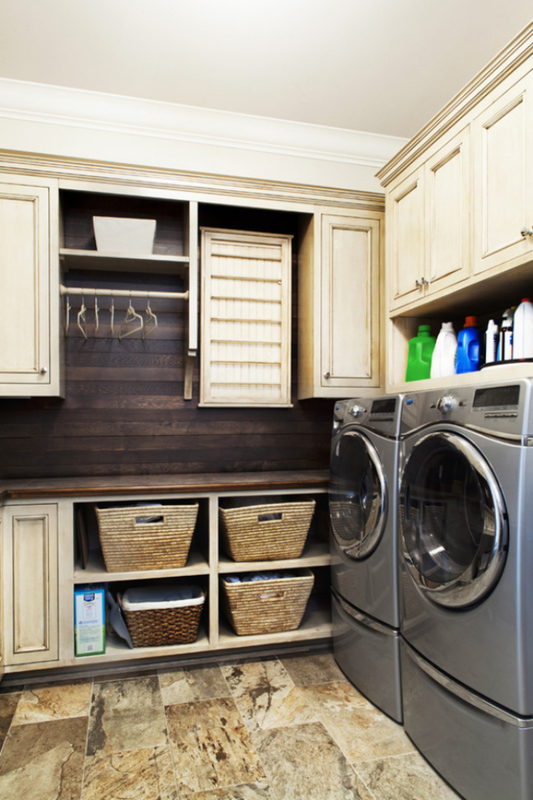 Put items less frequently used further back in the garage or higher up on shelves or in cabinets. Putting labels on shelves, bins and boxes will make it a lot easier for you to find what you’re looking for. Lastly, make some rules for yourself and family members and implement them. Rules along the lines of, “Always return the items you used back to where you got them,” need to be enforced at all times; it’s simply too easy to slip back into previous sloppy, relaxed habits. If you follow these six simple steps, you will have a clean and well organized garage. Not only will you be able to park your car in it, but you’ll also be able to find anything want without a lot of time wasted in the search. And one more thing: Don’t forget to have a garage sale to help get rid of all those unwanted items and put some cash in your pockets! One of the most ideal times of year to hold a garage sale is in the autumn, when temperatures are cooler (but still pleasant). And while garage sales are a good way to make some cash, there’s no denying that organizing, holding, and cleaning up afterward can be a colossal task. Handyman Matters offers a handful of tips that can save time, reduce stress, and make the process flow a little more smoothly. Pick a date. Most people select weekends and quite a few do multi-day sales. Saturdays tend to be ideal because many people have the day free. A word of caution: even a single-day sale will take a lot more out of you than you will expect, so unless you have an abundance of energy or a whole lot of stuff you want to “move,” you’ll be better off sticking with a single-day event. Make sure you’re “legal.” Some cities require a permit, and some Homeowner Associations either prohibit sales or restrict them to certain dates and times of the year. Years ago, everyone placed a classified ad in the local newspaper. This has been replaced somewhat by the various social media outlets available. People post on Craig’s List, on Facebook, and on community websites. Classifieds can still be excellent advertising, provided the cost isn’t prohibitive. Many papers offer discounted ads for garage and rummage sale listings, but if a listing is going to cost you twenty-five dollars or more, it probably isn’t worth it. Posting hand-made signs at busy intersections and on telephone poles and street lamps in your neighborhood yields good results. Use brightly-colored poster board if possible, but most important is to make your signs easily readable. (Also, be a good neighbor and take the time to remove these signs when your sale is over. You can incur a lot of ill will if you force neighbors to look at your signs still dangling from posts days or weeks after the event). Get organized. Gather all of the stuff you plan to put up for sale and separate it by category (electronics, household goods, toys, etc.). Decide where to stage the sale: in your driveway, your garage, your patio, the front lawn, or some combination of these. Next, determine how you want to display your wares. It’s easy to underestimate the amount of space you’ll need. It will fill up far more quickly than you can imagine. You’ll need as many tables, shelves and other flat surfaces as you own or can borrow. It’s a definite plus if you can arrange to display clothing on hangers. The more orderly you can arrange your merchandise, the more likely it will be to sell. Tag every item with price stickers, and keep an extra supply with you during the sale. Tags are likely to fall off during repeated handling, and may need replacing. Have all the necessary “tools” at hand. Have plenty of coins and small bills (at least two rolls of quarters, $50 in single bills, ten $5 bills and five $10 bills), because you’ll need to make a lot of change. Collect a large supply of plastic and/or paper bags for your customers to carry away their purchases. Use an apron or a fanny pack to hold your money, not a cash box. Have a pocket calculator available, as well as a tablet and a couple of pens or pencils. If your sale items include electronics, have a power source on hand (power strip, batteries, etc.) so customers can test for themselves that they are still in working order. Complimentary items. It’s a nice touch to have ice water and cups available for your clientele. They are likely to stay and browse longer. Or if you—or your kids—are feeling particularly enterprising, you can have a lemonade stand (and cookies) and make a little extra on the side. If they aren’t already aware, alert your neighbors that you will be having a sale, since it’s likely that customers will be taking up parking spaces in front of their homes and generally clogging traffic on your street. Be aware you will almost certainly have “early birds,” people who just can’t wait until the posted start time. Either be firm (warning on your signs and ads that you charge double for early birds), or be prepared to start earlier than you’d intended. Do not allow people into your home unless you know them. If someone asks for a bathroom, direct them to the closest public facility. Establish a clear dividing line between what you’ve put out for sale and anything else that happens to be nearby. Otherwise, you are likely to get people asking you how much you want for your lawn mower or the potted plant sitting on the front porch. Discuss with family members and anyone else who will be helping out with the sale what the policy on “haggling” is going to be. Earnest bargain hunters are going to negotiate for a better price, no matter how low you may have priced something. If you are eager to be rid of items, that’s great. If not, and you think you will be able to sell it later for the asking price, then tell your customer that they are welcome to check back later in the day, and if the object is still there, you’ll consider a lower offer. As money accumulates, have a family member run the extra into the house for safekeeping, rather than keeping it all in your apron. Keep things safe! Make sure all tables are sturdy and all merchandise positioned so that nothing is likely to fall on anyone. Before you open for business, do a scouting trip leading from where customers will park, all the way to your staging area, and throughout the surrounding vicinity. Remove all potential hazards, or post warning signs around things like sprinkler heads. Finally, it’s a fact of life that no matter how much you manage to sell, you are still going to be faced with the task of getting rid of a lot of stuff that remains. Research to see if there are non-profits in your area who will pick up unsold items, and if there are limitations on what local thrift stores will accept. Then you must decide whether to save or pitch whatever remains after that. A garage sale is a big undertaking, in any event. But following these simple steps can help take some of the stress and surprise out of the equation. And remember that your local Handyman Matters office stands ready to help you out with any repair and remodeling jobs that might need doing around your home. Practical structures don’t need to be cheap. 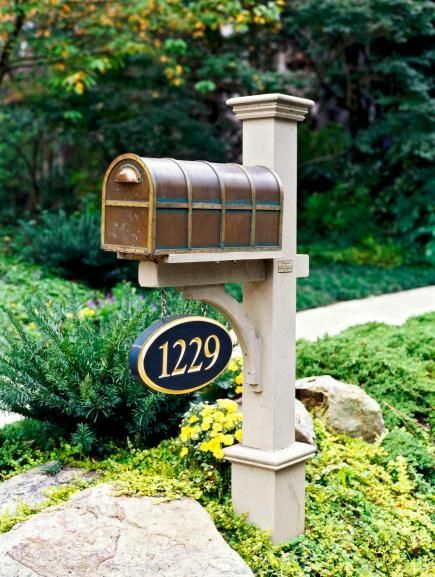 Mailboxes are a great excuse to add a little glamour to your home. Instead of going for the standard plastic or wood option, why not use this as a feature detail in your front lawn? Line your mailbox with stone, rebuild with high quality wood, accent it with plant features, or add a hardware detail like a number sign… Any of these options will work to upgrade and add personality to the front of your home. Go the extra mile by housing your garbage cans in a trash shed. These structures are especially great for country or mountain homes looking to keep animals out. Limit trash smells to areas other than your garage with the addition of a trash shed. Driveways don’t need to be boring. Pour your concrete differently. Consider staining or stamping your driveway to create luxurious place to park your cars. Highlight the entrance to your home with some plant life. 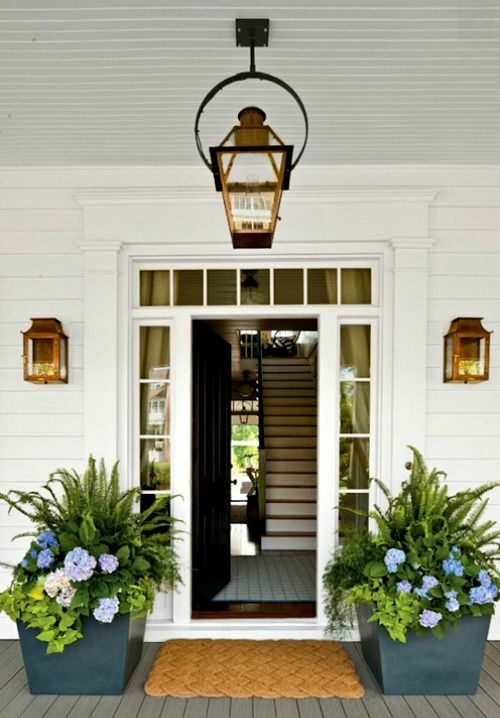 Potted or planted, flowers or bushes, gardens are a welcoming way to usher in your home’s guests. 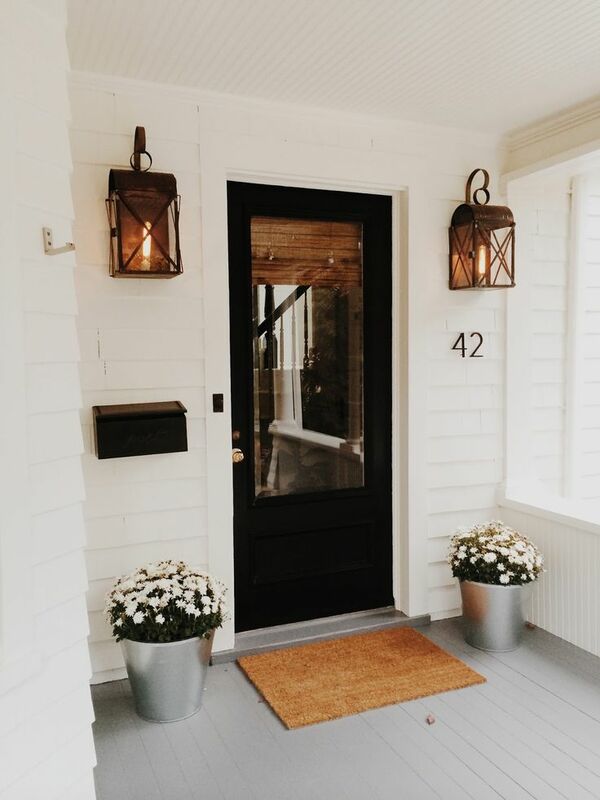 Lastly, one of the easiest and budget-friendly ways to improve your home’s curb appeal is by adding a fresh coat of paint to your front door. Yellow, red, or a high contrast navy or black will instantly make your home more modern and intriguing. 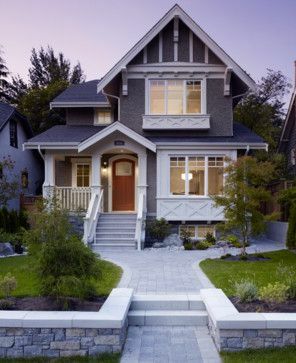 Maintain the investment in your home with exterior maintenance. 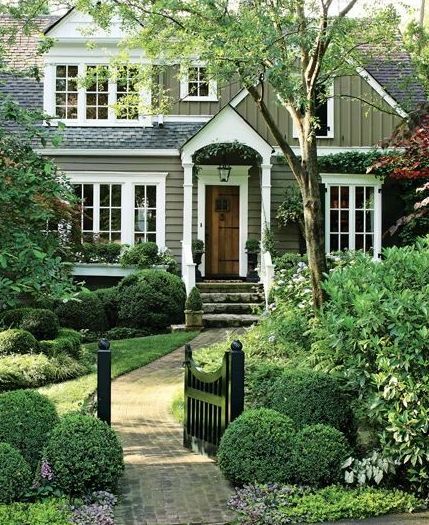 Curb appeal, landscaping, repairs, and paint are simple ways to improve your home. Need help getting started? Handyman Matters has craftsmen skilled in over 1,162 projects – call us today to started on your home 866-FIX-MY-HOME. We all have that extra pile of clothing we’re not wearing or storing for posterity. Whether it be your winter jackets, vintage clothing, baby clothing, or just things you’re not yet ready to part with, having an organized place to keep them is essential. What you need are racks. These are preferable over boxes because they take up relatively the same amount of space, and are easy to sort through. For your holiday decorations or just your décor odds and ends, we suggest installing a shelf fit for large plastic containers . These are the things that are easy to toss in a box, and store on a shelf. Just remember to sort them by categories. Each of these storage containers should display a label, so at a glance, it’s easy to decipher their contents. Examples of categories may be “Holiday Lights”, “Ski Accessories”, “Kids Room”, “Picture Frames”, etc.. They are bulky and big. Left on their own they’re likely to take up a room. 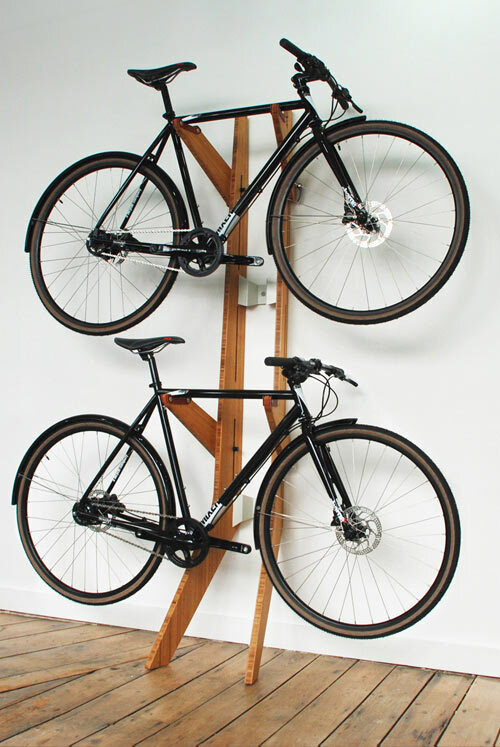 The only simple solution when it comes to bikes are hangers . 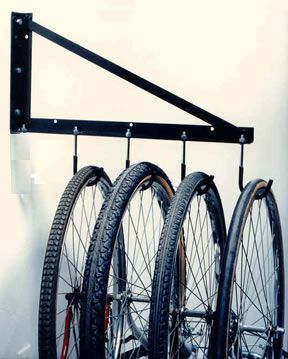 Store these vertically on one tire, or stack them on top of each other with a rack system. 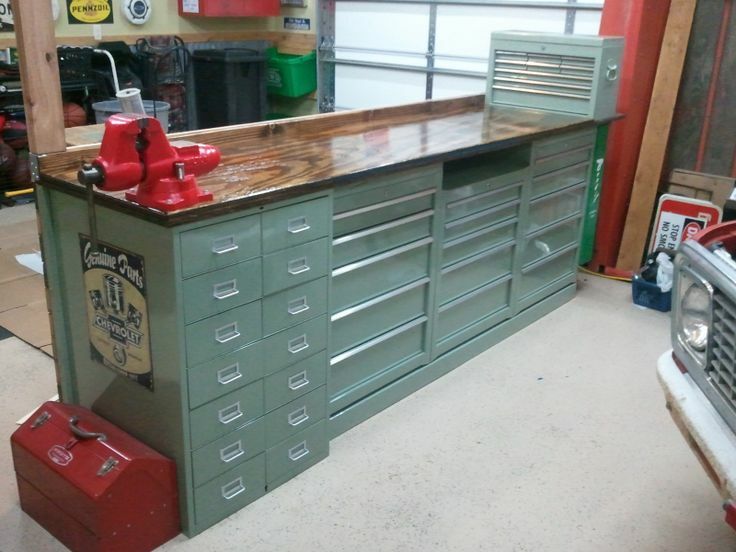 If you don’t yet have a tool bench – now’s the time to install one. 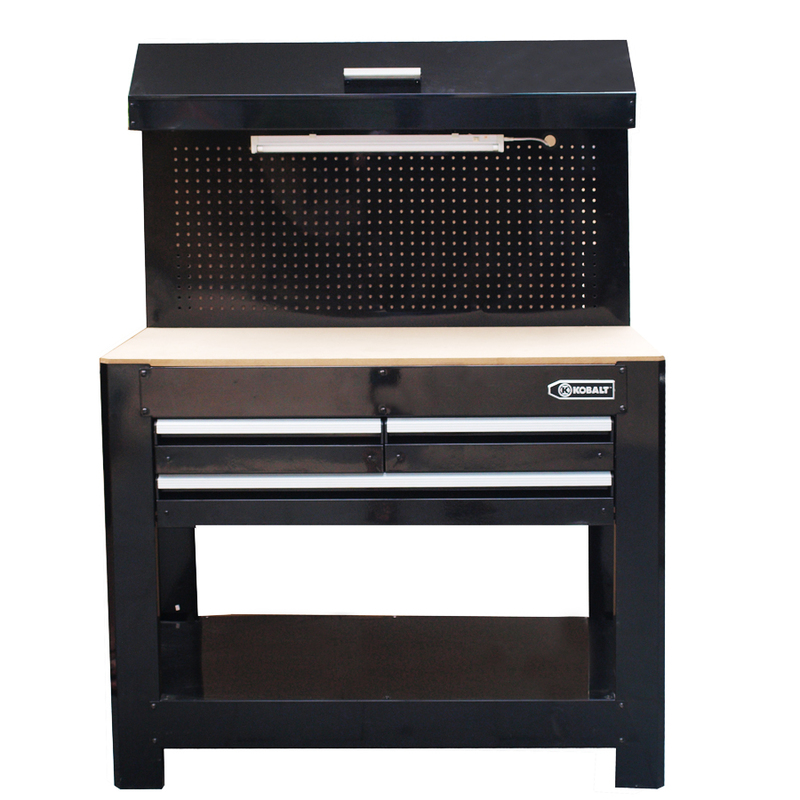 Tool benches are the only way to store small screws, nails, drill bits, and appliances without losing anything. 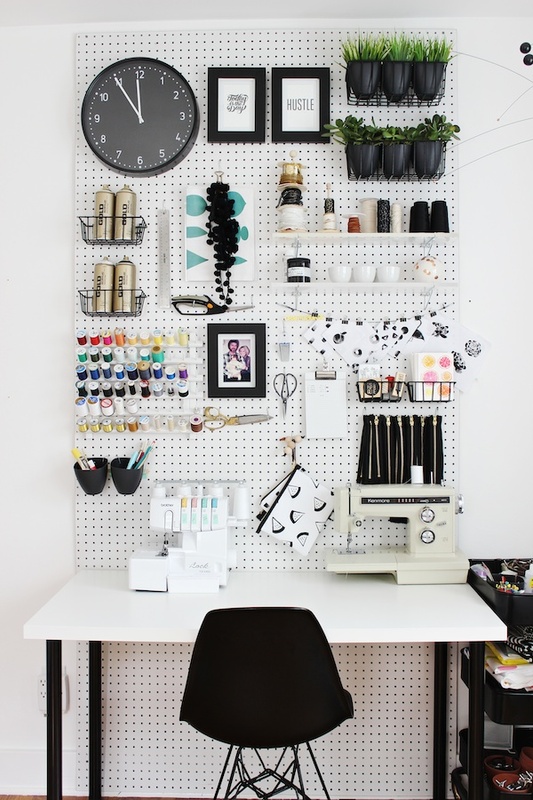 And because of their various slots, drawers, and hangers – these double great as craft stations! For help starting your spring off right, give Handyman Matters a call, 866-FIX-MY-HOME! We can help install organizational solutions, hang larger items, or make seasonal repairs. Learn more about our handyman services. Garage floors are exposed to a selection of corrosive substances every day. Chemicals like grease, battery acids, antifreeze solutions, salt and motor oil will corrode concrete after prolonged exposure. Despite this, garage floors are usually the most neglected portion of any house. Folks might put up granite or marble tiles in their kitchen and bathrooms, but few give a second thought to the cold, damp garage. Some kind of protection for the garage floor is critical, if it’s to be expected to last long. Flooring can be shielded from everyday corrosion by a variety of protecting measures. Vinyl or lacquer paints can be applied, but the process is both time consuming and laborious. For the folks with precious little time to devote to do-it-yourself projects, garage floor tiles are the simplest options. They are available with adhesive backing, making them easy to apply to concrete flooring, and require minimal equipment. Generally a set of kneepads, a measuring tape and a utility knife to cut the overlapping tiles to shape will handle the job nicely. And of course, before application, you will want to thoroughly clean the concrete of grease, oil, dust and other substances to ensure a solid fit. Garage floor tiles come in a variety of colors, patterns and shapes. They fully resist any sort of corrosive substance and can be washed, swept or hosed to clean them. They are heat- and chip-resistant and can stand up to the load of even the heaviest vehicles. Tiling is an easy “fix” that provides protection from general wear and tear and enhances your garage’s personality, giving it increased appeal when the time comes to place your home on the market. It’s a worthy addition to any house. Many new garage doors offer good insulation built in. But less expensive doors and older garage doors lack insulation. Without proper it, the house will lose a staggering amount of heat through your garage, even with the doors closed. When replacement doors are not an option, consider adding insulation to the garage doors. For a small amount of money and effort, the results are well worth it. Hollow garage doors have empty channels inside and can usually be accessed from the side of the door. It is important to consider the width of the channels before deciding on what kind of insulation to use. Reflective insulation can be easier to work with, but foam sheathing is available in higher R values. R value is a measurement of just how insulating a product is. Once the width and depth of the garage door cavities to be filled is known, simply go to your local home improvement store to compare the types of insulation and make a selection. You’ll also need straight edge razor, or other cutting tool to complete the job. Don’t forget to also pick up safety equipment such as safety goggles and heavy gloves. If fiberglass insulation will be used, a particle filtering mask should also be worn. Cut the insulation to fit snuggly inside the door cavity. If they have been measured and it is determined that all of the cavities are the same size, then use the first well fitted cut of insulation as a template for further cutting. Foam sheathing is rigid and must be cut to fit exactly into the empty cavities. Reflective insulation is more easily manipulated, as it is not rigid. If reflective insulation is used, cut it about one quarter of an inch larger than the cavity size. It will then bunch a little and create a better fill, thus improving the benefit of insulating. Once all of the empty channels have been filled, place tape over the exposed sides of the door to seal it up. The insulation portion of the job is now done. However, keep in mind that the garage doors will be heavier with the insulation than they previously were. Refer to the owner’s manual of the automatic garage door opener and follow the directions to recalibrate the automatic opener to handle the extra weight. In the event that the existing garage door opener cannot handle the new weight, installing an opener that can is still less expensive than replacing the garage doors and losing heat through un-insulated doors. If all of this seems like too much to handle, or work space is very limited, consider using a premade insulation kit. Many of these kits use materials that affix onto the interior side of the garage door without having to access the internal cavities. While these kits may be easier to use on some types of garage doors, it is still important to recalibrate the automatic opener to handle the additional weight. If problems arise, especially with the opener, consider hiring a professional garage door service to make sure that the door is still operational and safe. From being knocked into and dented, to going up and down all the time, to being exposed to nature’s elements, garage doors experience wear and tear on a daily basis. They are also the point through which many people enter their homes at the end of the day. But for all this, garage doors are often overlooked where maintenance and aesthetics are involved. Most garage doors need a fresh coat of paint every few years to protect them from wind, rain, and sun. Metal doors can rust over time without the layer of protection that paint lends. Wood doors can dry out and split without protection. Even without peeling, paint layers break down over time and garage doors need to be repainted every few years. 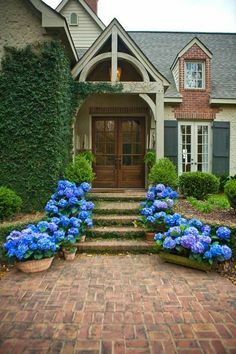 This also offers a convenient opportunity to change colors and create more curb appeal. It is imperative that the door be cleaned and dried thoroughly before any painting begins. Using a hose, an abrasive cleaner, and a rough scrub brush, clean the entire side of the door that is to be painted. Make sure to get any oil or grease that has collected entirely cleaned off; otherwise the paint won’t stick and there will be bubbling and peeling problems. It is okay for the surface of the garage door to be slightly abraded during this process, as it will allow the paint to stick better. Once the door is clean and dry, use an oil based exterior paint primer to prepare the door for the color coats. Follow the directions on the primer label carefully to avoid problems like tacky paint that never dries properly, peeling, or bubbling. The primer can be applied with a roller and brush that are designed for oil based paint. Recent restrictions on ingredients in paint have limited the availability of oil based paint. Exterior latex paint may be used to paint garage doors, but is more prone to bubbling and peeling, especially on metal doors. If appropriate exterior oil based paint cannot be found, consult with the local hardware store to find the best alternative. Many garage door services also offer painting, and using such a service may ensure that the finished results will last for years and added beauty and garage door protection.